You may have seen the posters of 596 Acres around the city. That’s how we found out about them. We were walking around in Harlem and noticed an empty lot fenced off from public use. Pretty common site in New York City. But this fence had one of 596 Acres’ posters on it and exposed a little-known truth about these spaces: they are public. This highly-effective organization simplifies the legal hurdles of community land access within New York City. They provide the tools and information to connect neighbors with one another. We contacted them soon after seeing the poster and learned that they needed a document designed that would support and diversify the land access tool on their website, www.596acres.org. 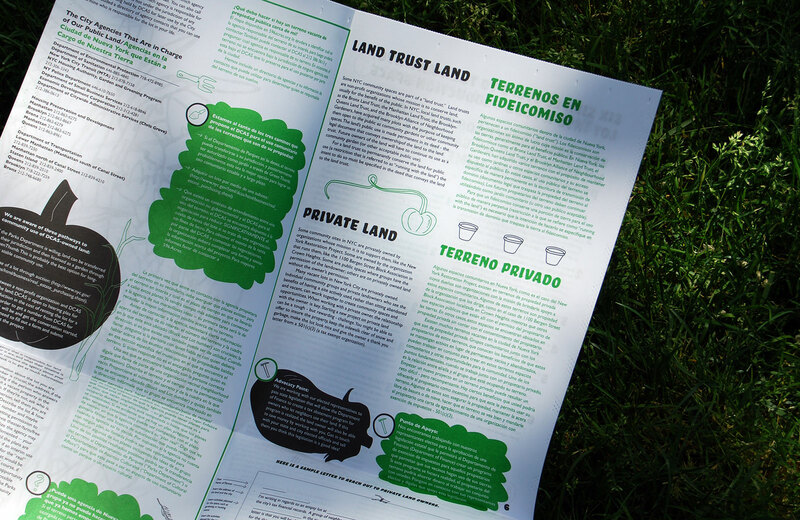 Our goal was to create a long-lasting, information-rich document that could support members of local communities who want to utilize vacant lots in their neighborhoods. 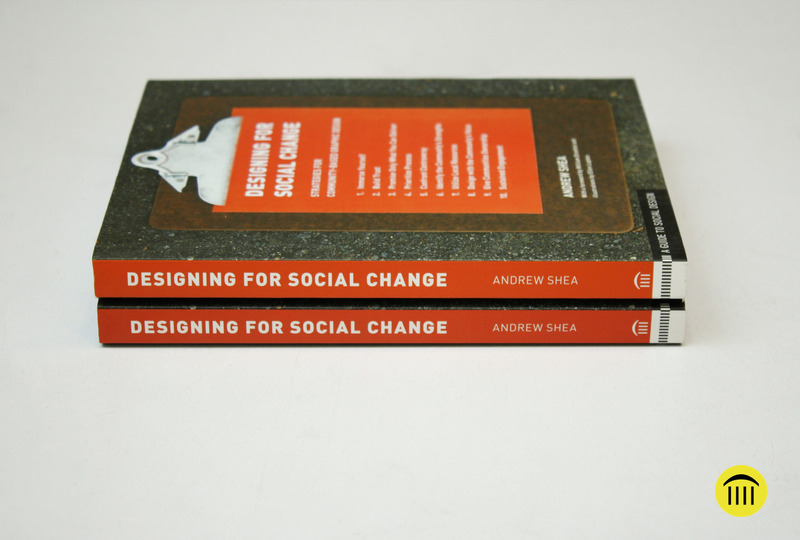 During the early phase of ideation, we explored multiple formats of that the guide could take. We established several levels of information hierarchy for the content that Paula Segal and the 596 Acres team gave us and used Bello as our main heading typeface to help with that. In addition, we created sets of illustrations around the theme of garden tools, plants, and equipment. 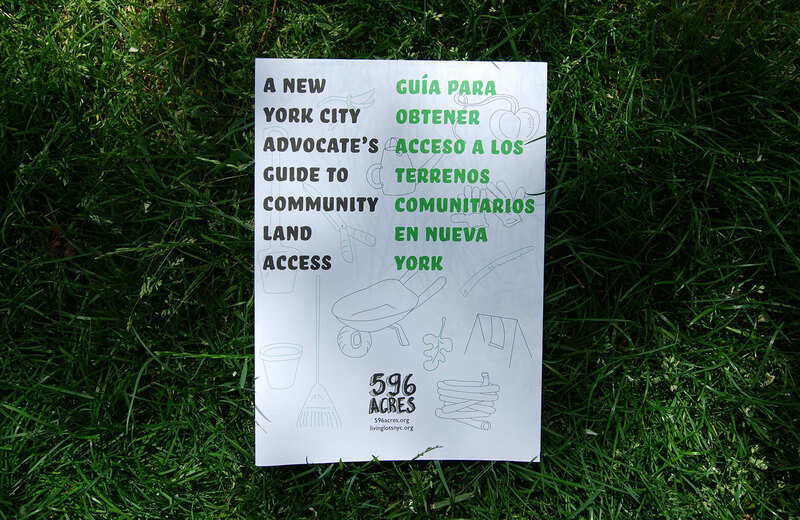 The document was called “A New York City Advocate’s Guide to Community Land Access” and it communicates 596 Acres’ insights and strategies to transform vacant urban land. 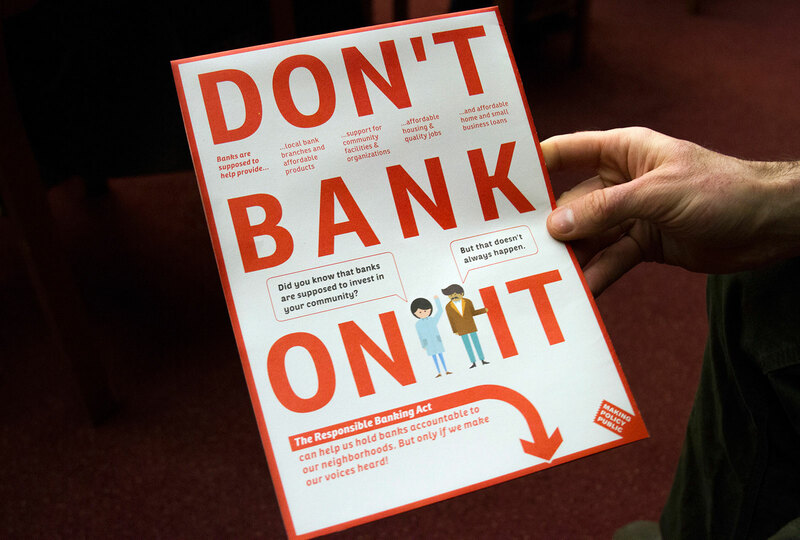 The interactive brochure-turn-poster allows both English and Spanish-speaking audiences to easily access in-depth information or to quickly scan through sections they are curious about. 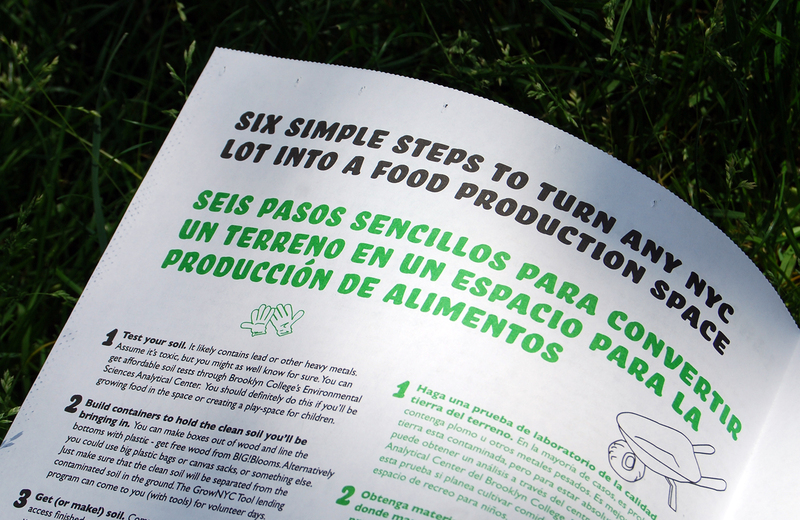 The final design is a single sheet of newsprint, double-sided, black with one spot color (green), in a quarter-fold. 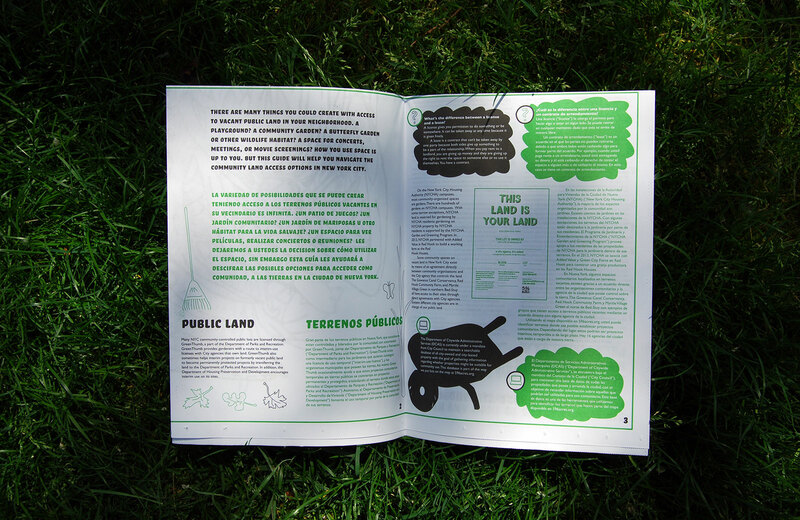 This portable format can convey information like a brochure and can foster a dialogue about future land access within the city and can also be hung as a poster, featuring the work of Daniel Eizirik. The newsprint includes additional designs from Greg Mihalko of Partners & Partners. 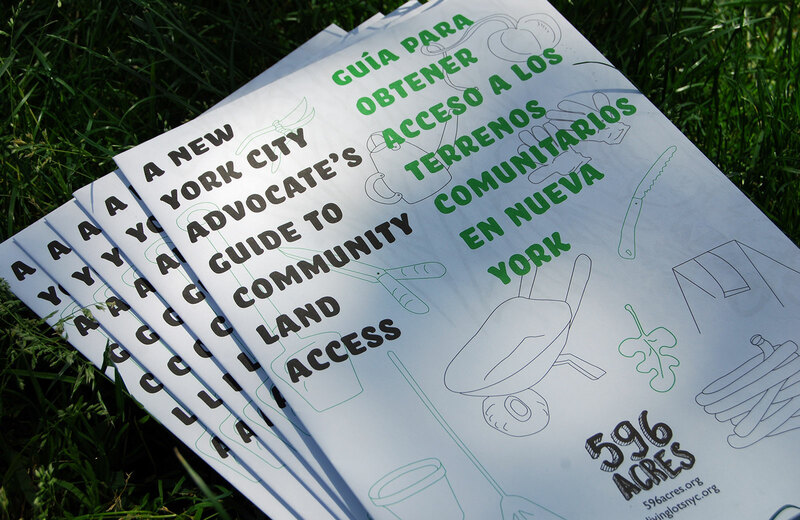 “Having a bilingual print version of the New York City Advocate’s Guide to Community Land Access amplifies our ability to share what we’ve learned in our two-and-a-half years of advocacy with a much broader audience than an online publication or even a print version in a single language. This continues our practice of collecting valuable information about how to generate community property and then giving it away.